All you gardening enthusiasts and garden lovers, how many times have you not known what to do ‘broken pots’ and have just disposed them? This workshop will make you fall in love with broken pots and help you repurpose them to a beautiful landscape garden. Broken Pot gardening is a trend in gardening where you make fairy gardens out of broken pots and pieces. Pots can be created either from accidental breaks or from carefully planned cuts. We fill up the pot with planters’ soil and arrange the shards and soil and landscape it into a pretty fairy garden. 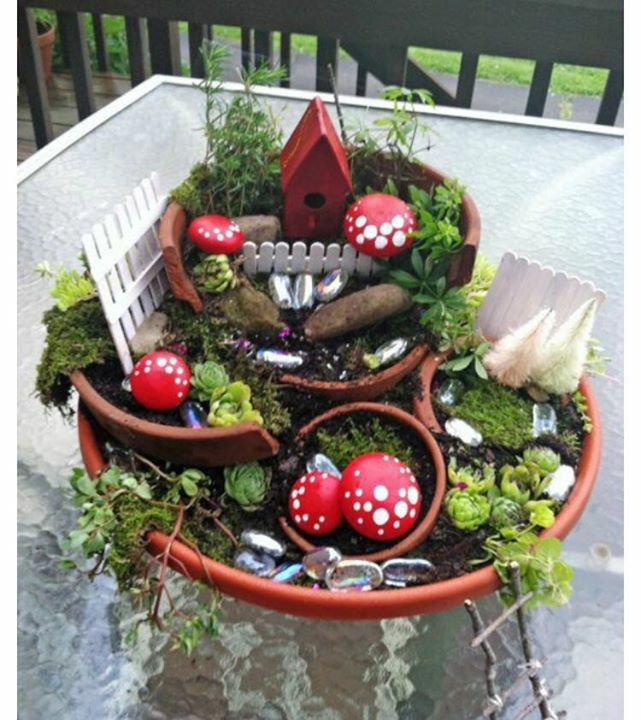 A fun workshop to be part of and take home your ‘handmade’ pretty ‘Broken pot fairy garden’ for the ‘centre piece’ in your garden at home.